You may know that lobsters naturally have a brownish color. However, about one in every two million lobsters has a bright blue color. They are exceedingly rare. So too is MVYRADIO. You can survey the radio landscape, up and down the dial, and across the country, and you'll find that a local, independent, non-profit radio station like MVYRADIO is exceedingly rare. We're a one in a million (or two million) station! MVYRADIO adopted the lobster logo in 2005, and it's been our symbol ever since. Find it on our t-shirts and our avatars. 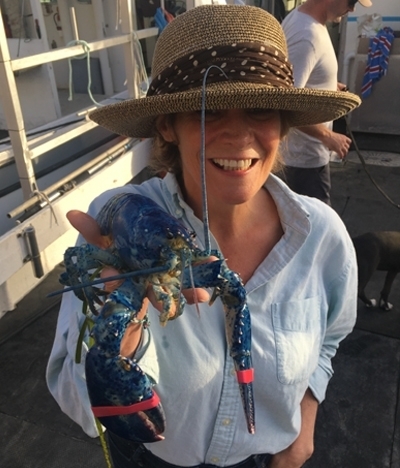 In 2018, we got to meet a real, live, Vineyard-caught blue lobster, which you can read about HERE.